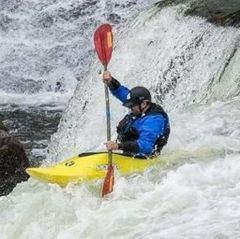 Lost my blue AT bent-shaft paddle with grey pogies at Snoqualmie Middle-Middle, it might have floated downstream or is stuck underneath a rock. Which rapid did you lose it in? It was right above house rock.